IT Lingo Decoded- What the heck does “_aaS” mean? As an experienced IT consultant in the DC metro and Northern Virginia area, we see the value in translating some of that confusing IT “Techspeak” you frequently experience into a language a business IT user can actually understand. For example, sometimes those acronyms you come across when reading about the latest IT trends can make your head spin. However, although they look intimidating at first, these little letters can usually be quickly broken down and simplified to make sense to the normal business IT user. The most widely used and interesting to the normal business IT user is SaaS or “Software as a Service.” The software available includes all the most widely used business applications including Microsoft Office 365 and Google Apps, Outlook and Gmail, Quickbooks, and CRM options. This service allows customers to use applications managed by the provider on a cloud infrastructure. Put simply, the software “lives” or is housed at the provider’s location and the user accesses them over the internet. Cloud Service Providers offer this service for a monthly fee based on the number of users and overall system usage. This option includes cloud services such as hardware, operating systems, as well as storage and network capacity. This service lets customers deploy their own applications on a cloud infrastructure. In short, your company pays to use someone else’s existing network rather than having to set up your own. While these applications used to traditionally require a company to buy and use their own server, now you can just rent space on someone else’s server; such as a server owned and operated by Microsoft when you use Office 365. The most popular service providers include the dominant leader Amazon Web Services (AWS) and Google Code, Salesforce PaaS, and Windows Azure. This option is used frequently by IT developers. This service option is especially attractive to companies that are located in old office buildings and to offices which face challenges with the features outlined in the bullet points above. Also called hosted desktop services, the Cloud Service Provider offers a Virtual Desktop Infrastructure (VDI) of all applications normally used at a user’s workstation. The provider will handle the storing, securing, and backing up of a user’s data as well as any upgrades to the applications used. The user will sit at their workstation and login as normal with the same look and feel. However, all of the user’s files and applications are being accessed through the internet. This option is attractive to companies who want a higher level of control over their users and accounts. No users are saving anything to their local drives, so everything is contained under the company’s umbrella. However, your company must have a great internet connection as slowness can occur when everyone is accessing their files over the internet. With this service, a Cloud Service Provider will protect your company against incidents that could damage or destroy data or cause system downtime. For example, what happens if your data and applications live on one server and that server crashes or the motherboard pops? What happens if a natural disaster strikes and wipes out all or part of your office? Would you lose all your data? Would you still be in business? Your data also needs to live on hardware somewhere other than your primary piece of hardware. If your primary piece of hardware fails, your company needs to make sure your data has been backed up or replicated frequently to another piece of hardware. With DRaaS, providers will cost effectively replicate and recover critical servers and data center infrastructure in the event of a disaster. 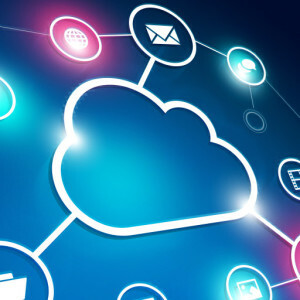 Contact us anytime at Network Depot to further discuss these various _aas Cloud Service Models and don’t be afraid to show off your latest mastery of IT lingo at your next company meeting!